How do you know if AdWords will work for you? By Adrian Stephenson on Mar 08 in AdWords, Pay Per Click. HomeAdWordsPay Per ClickHow do you know if AdWords will work for you? 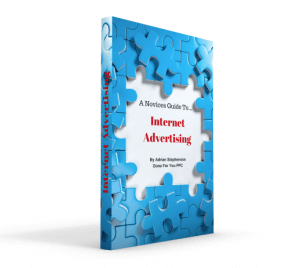 The bottom line is that PPC (Pay Per Click) is not the answer for every business. Then again not everyone likes ice cream do they? In most cases, if a company is selling online or wants to attract customer attention via the search engines, then ‘paid for’ traffic should have some influence. The big question is, how much should you spend and what will be the return? As with anything else in life or business, the answer lies in doing your research thoroughly first. You simply don’t know what you don’t know and, as the old proverb says, you shouldn’t try and run until you can walk. Putting a feasibility report together is a great way to assess what a well-designed PPC campaign is likely to achieve for your business. Think of this as a small cost that could save you making an expensive mistake. Walk the walk before you buy the shoes! Have you ever had blisters from a new pair of shoes? Sometimes things look great or seem like a brilliant idea (at the time) but end up causing pain, expense or just disappointment a little way down the track. The only way to avoid this scenario is to test the water first. You wouldn’t run a hot bath and then just jump in without dipping a toe would you? Likewise, it would be completely insane to invest in a buy-to-let apartment without first checking there was demand for rentals in the area. This is exactly the same with all forms of marketing. 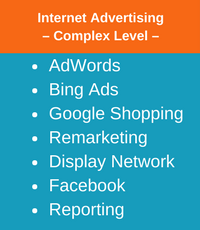 Not just AdWords! Whether it is a ‘test and measure’ exercise, some market research, or a full-blown feasibility report, the best way to know if it is worth investing money in any form of marketing is to do your research. Pay Per Click could be a massively expensive mistake! Am I crazy? Surely as an AdWords specialist I should be telling everyone how wonderful it is. 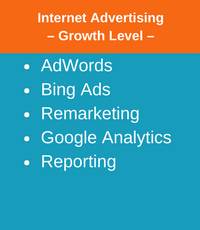 The point is, I know that PPC is one of the most powerful marketing tools available in the online world. But I also know that, for the very same reason, it is one of the most dangerous. Applied badly or in the wrong place for the wrong business it could end up costing you thousands (or even tens of thousands) of pounds in wasted cost. A comprehensive feasibility report will tell you a number of things for certain and give you a good idea of the most likely outcome as a result of the facts. It will include competitor analysis to tell you what others are doing. 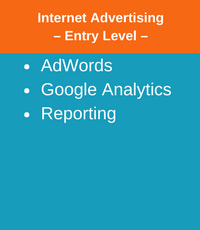 It will identify the average cost per click for your best potential keywords. The report will also show you the expected volume of searches there will be for selected words, phrases, products or services. Most importantly, and as long as you know your margins, it will indicate how much you would need to invest to get a good return, and what that return is likely to be. It is not an exact science, but it will give you the best possible chance of running ahead of your competition without getting any blisters. If you would like to know more of what my cost-saving reports can reveal about your company’s PPC potential, please get in touch. This entry was posted in AdWords, Pay Per Click and tagged Adwords, Google Adwords, PPC by Adrian Stephenson. Bookmark the permalink.